As you saw in the video, the exchange rate isn’t complicated. If you’re in the tourist area, you’ll mostly see US dollars. However, if you venture out to the local joints I mention on The Bent Page, you’re more likely to encounter the florin. Either way, with a fixed exchange rate, it’s pretty much the same, at least in terms of the ratio. Enjoy your visit whatever money you’re spending. Bon dia. That’s an incredible location, no? Absolutely. The good news is, there are a few lots in that area for sale with similar opportunities for spectacular vistas. If that’s your kind of Caribbean living, I suggest you wing to Aruba and plunk down some cash. In a year, you could be lounging by a pool like this, sipping a cool beverage with a dozen of your closest friends. And those friends won’t be in a hurry to leave, either. No, that’s not my prison cell in some forgotten corner of the world. Those are three of the four walls of a bathroom at my shack here in Aruba. With the help of a couple of talented fellows, I hammered off the old tile, removed the fixtures, took things back to the bare bones. Now it’s going to be a rebuilding process. Get the walls plumb and even. Re-install the electrical equipment. Set new pipes, valves, and facilities. Tile everything and paint a few spots, too. Another week or two of tough work lies ahead. That small space cooks in this Caribbean heat. Ah, but in the end it’ll be worth it. This is the last MAJOR project here. Then there will be more time for reading, writing, and wandering about the island. As always, stay tuned for the after photos. My shack in Aruba has gone through a number of repairs lately. 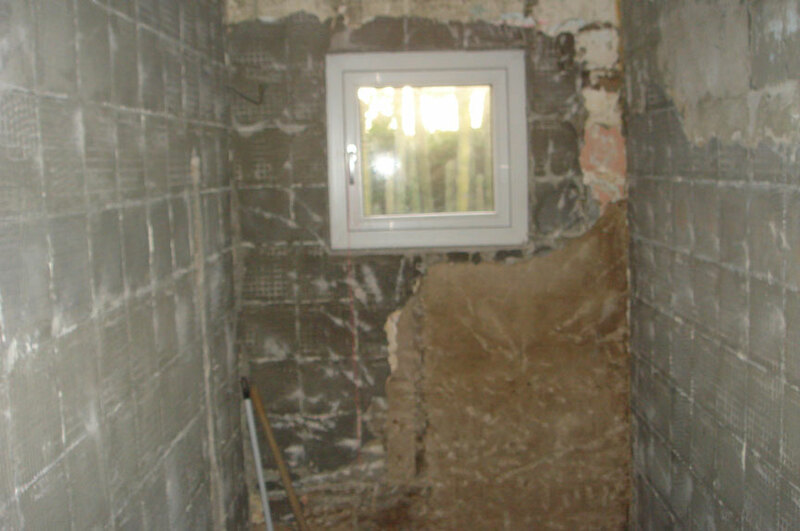 The most recent project is the replacement of the windows. 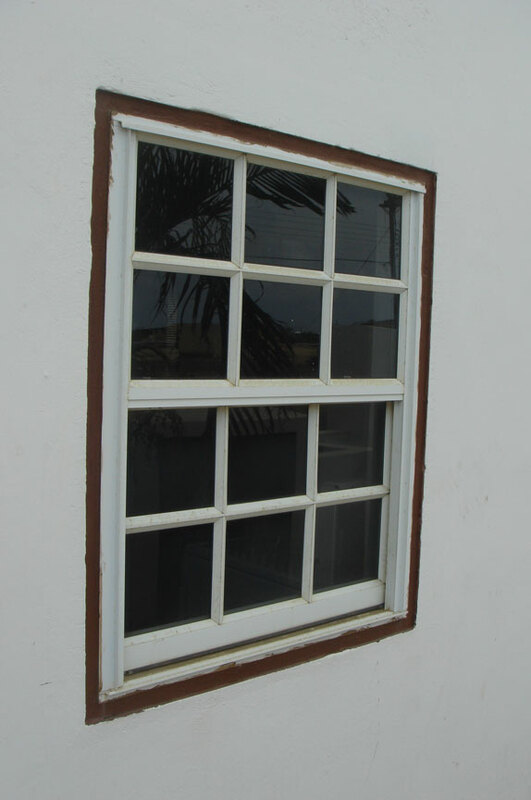 The old windows were aluminum framed, set in wood, which was fitted to the concrete walls. They were no longer completely serviceable, the screens were broken, and I wanted to do away with the divided lights. Here’s a look at an old one first. Looks good enough, but they were leaky and had to go. 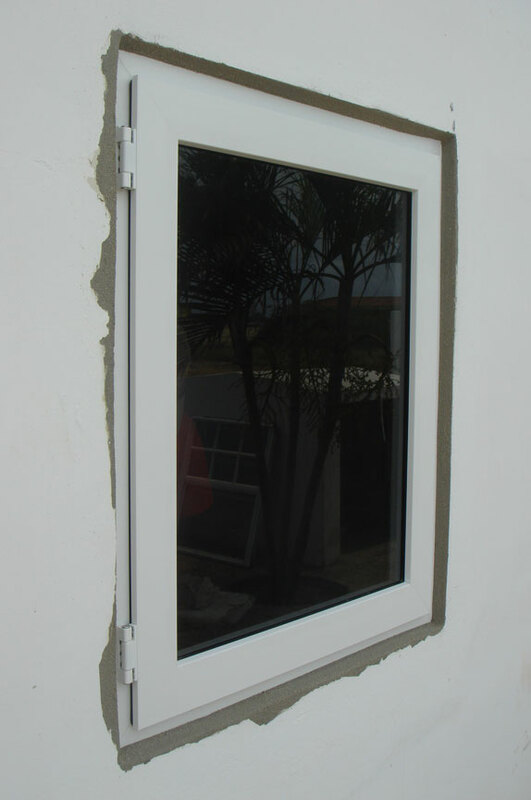 A company called Builder Systems here in Aruba made the new, vinyl framed single light windows for me. Here’s the new one in place. That’s a better window, more energy efficient, and the installer did a great job fitting it into walls that are approximately 80 years old. That’s no easy job, nor is the finishing up with the stucco. It’s gone well so far, especially given the challenges. I look forward to wrapping this up and getting a nice coat of paint on the place.